Wow, today was an awesome day! 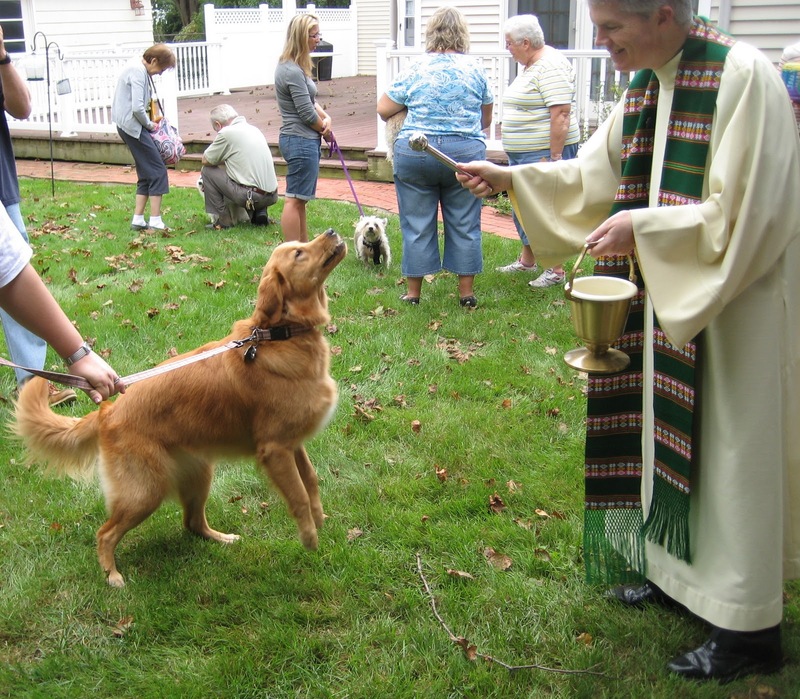 I knew this week would bring the feast day of St Francis of Assisi, so I was looking around for a church which would provide a service to bless all animals. (St Francis is our patron saint of animals and ecology.) Luckily we found a local church providing this service in a neighborhood not too far away, and we were happy to receive the blessing. There were so many other dogs, some cats, some bunnies and some little ferrets there too! 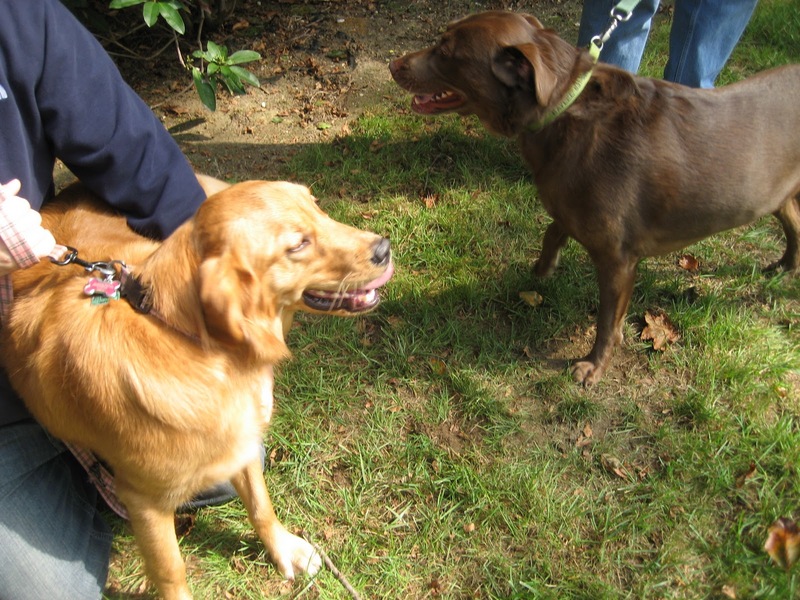 And, in usual Finn fashion, she made a new friend, Reilly. I think she was slightly confused about why we were in a yard with other dogs and we weren’t letting her run free, but we did calm down after a little while. That is, until the priest came over for the blessing itself, and Finn just wanted to play with him. Sorry about that, Father. He seemed to understand. A great way to start morning, it made us feel great the rest of the day.